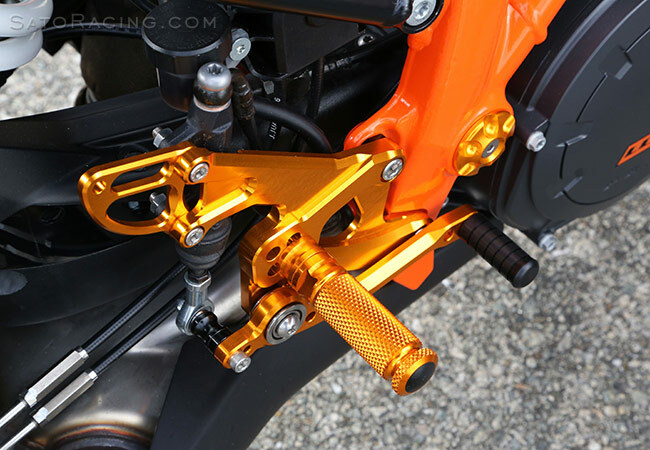 SATO RACING Rear Sets for 2016-18 KTM 1290 Super Duke GT are CNC-machined out of billet aluminum and anodized in your choice of a deep Black or vivid Gold finish. 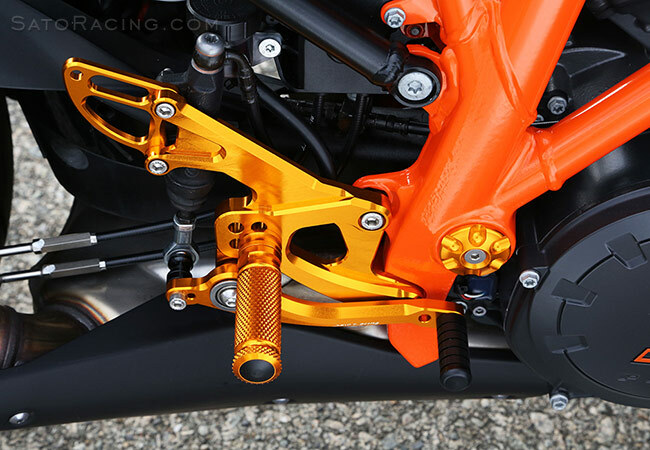 Provides 4 adjustable foot peg positions in a range that brings your feet up higher compared to stock. 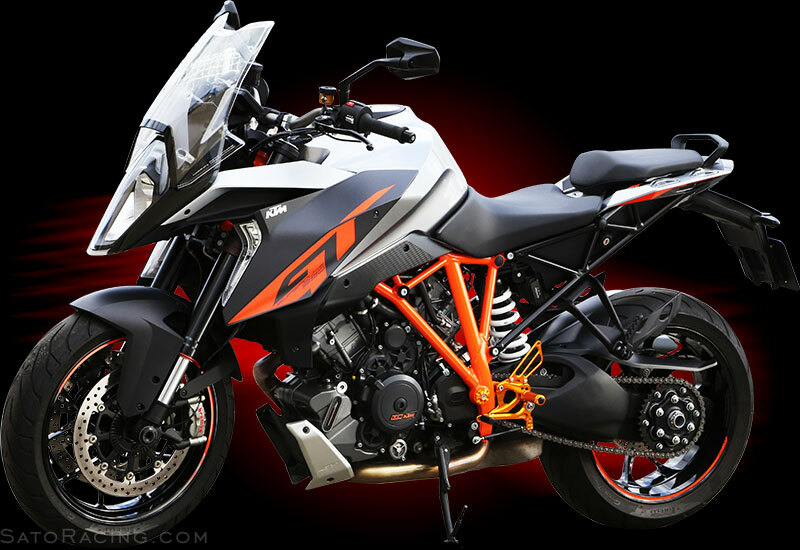 NOTE: Although this Rear Sets model was primarily designed for the GT, it will also fit the 2014 and up Super Duke R, providing a less rearward set of positions compared to our R-specific Rear Sets. for smooth, precise movement with a solid, quality feel. 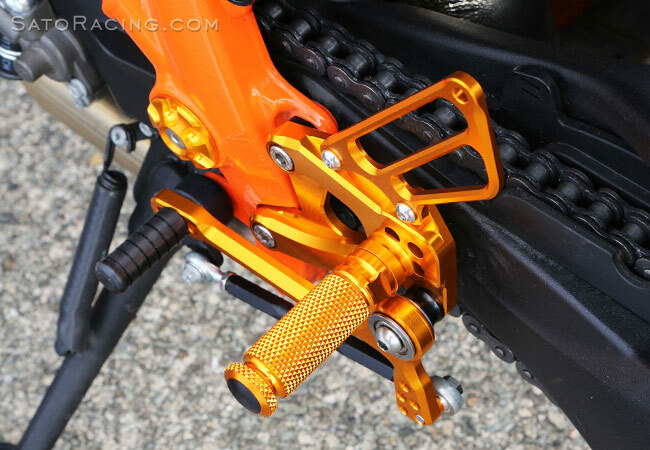 Foot Pegs feature a finely knurled pattern for a comfortable feel along with excellent grip. 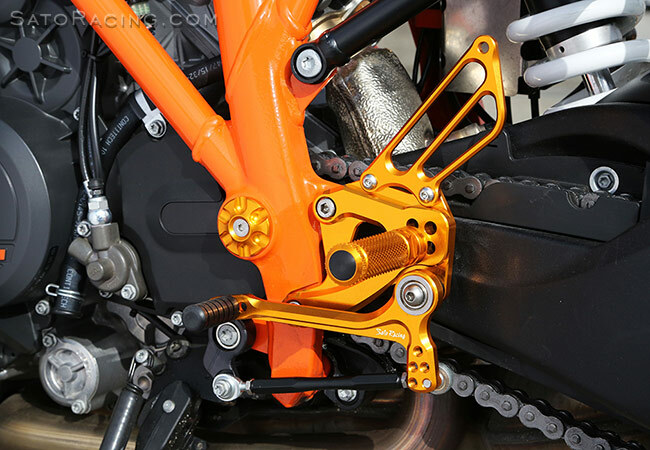 including Rubber-sleeved aluminum and Folding-style Pedal Tips. Click Here for details. 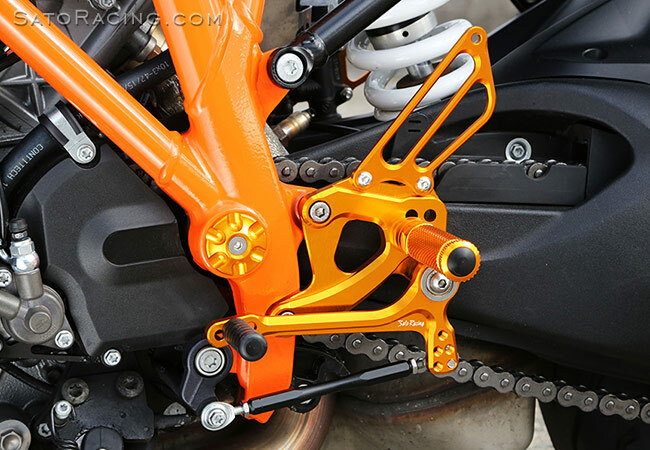 These Rear Sets provide a stock shifting pattern. Reverse shift pattern is not an option for this model.